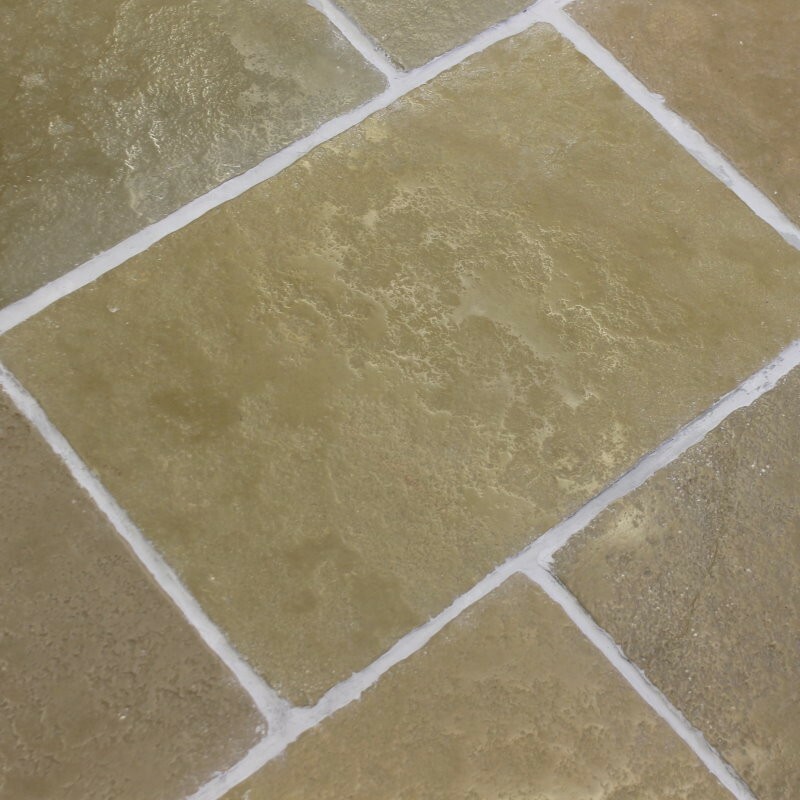 Heritage Olive is a limestone flagstone tile with shades of olive all the way through to a warm gold. Ideal to be used in older period properties, listed properties and for use as a patio in these also. The Antiqued and aged effect is very popular and the Heritage range are a fine example. Limestone is an incredible hard wearing and durable stone, ideal for any application in the home such as patios, conservatories, kitchens and utility rooms. Can be used with underfloor heating. The varying earth tones present throughout these tiles are traditional for natural stone as you will have variation as they are a natural product. Also available is Heritage Grey. Olive and Grey are also available in other sizes.